Oh this sounds absolutely wonderful! And I'm so happy that Florand's writing continues to impress you. The cover isn't my favorite, but the story sounds really good. I guess I need to start catching up on her Amour et Chocolate series! I am such a sucker for all things romance and this sounds really good, I am glad you liked it. Ooh a book set in France? How lovely! That's great you loved this one so much and it's always nice when authors you love can continue to surprise and enchant you. There really is nothing more endearing than a man who blushes and that SNIPPET. Omg, Keertana, Matt seems like a sweetheart. I wish there were more love interests in books that were shy and awkward. Those are the best kind, if I do say so myself. I am glad you enjoyed this novel, Keertana! 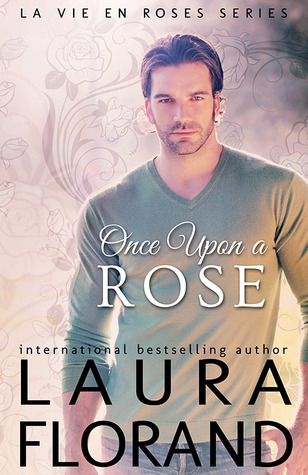 :) I do think I will need to dive in to the world of Laura Florand soon enough because if Snow-Kissed is anything to go by, I am going to fall in love with all of her books. This book sounds absolutely wonderful Keertana, I don't know why I hadn't heard about it before. I do like my characters who tend to growl a lot so I think me and Matt will get along just fine. I'm also intrigued about these cameo appearances too! I'm so behind with this author's books, but you've made me desperate to read this one soon. I'm a sucker for these celebrity finding real romance with real people books. Plus south of France and roses. Does this author live in France? And this guy! It all sounds completely delicious. I know it's not chocolate but I'm salivating. You've sold me! That snippet you posted was SO adorable, I was grinning the entire time I read it :). You know I'm not much of a romance reader at all, but I feel like this one would make me so be such an expressive reader lol. I'd be awwing and ohhing all the time. So glad you enjoyed it Keertana :). Aw the romance seems so adorable and well built! I haven't heard of this author before but she seems like a fantastic writer by the looks of those excerpts. I really, REALLY need to read something by this author Keertana! She clearly writes amazing characters and romances, and I definitely love my fictional men a little gooey on the inside:) Adding this to the list right alongside her chocolate books!